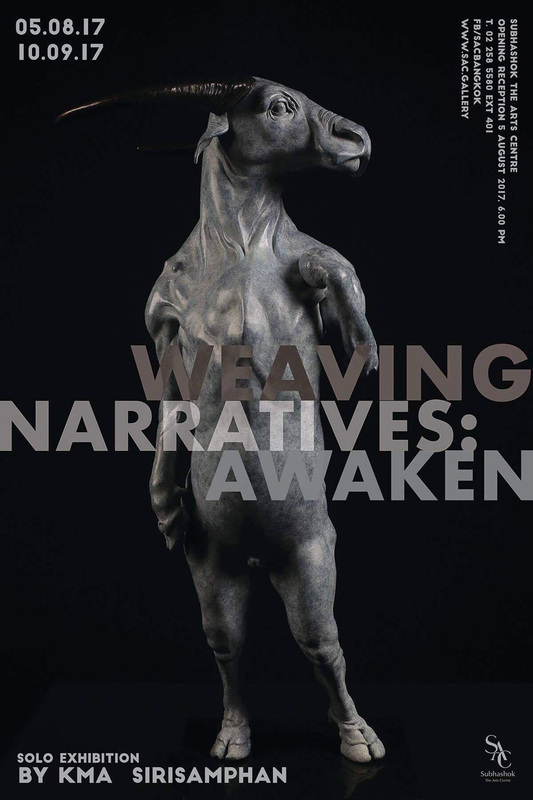 Can you tell us about the new exhibition “Weaving Narratives: Awaken” which will open the 5th of August ? 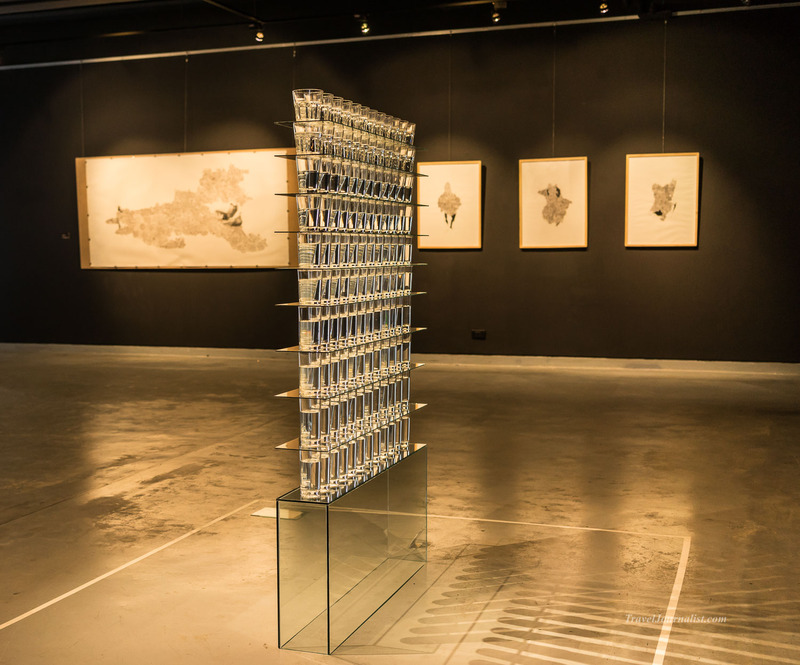 It’s a solo exhibition by Thai artist Kma Sirisamphan. 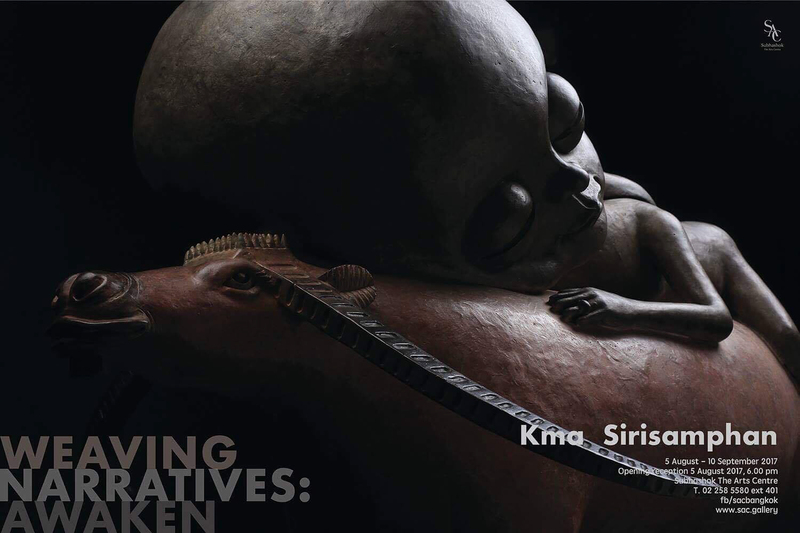 Born in 1962, Kma Sirisamphan graduated from Silpakorn University with a Bachelor in Faculty of Painting, Sculpture and Graphic Arts in 1992. In the past few decades, he has constantly spoken to himself through his work, transforming his feelings for everything into his creative energy for each piece. 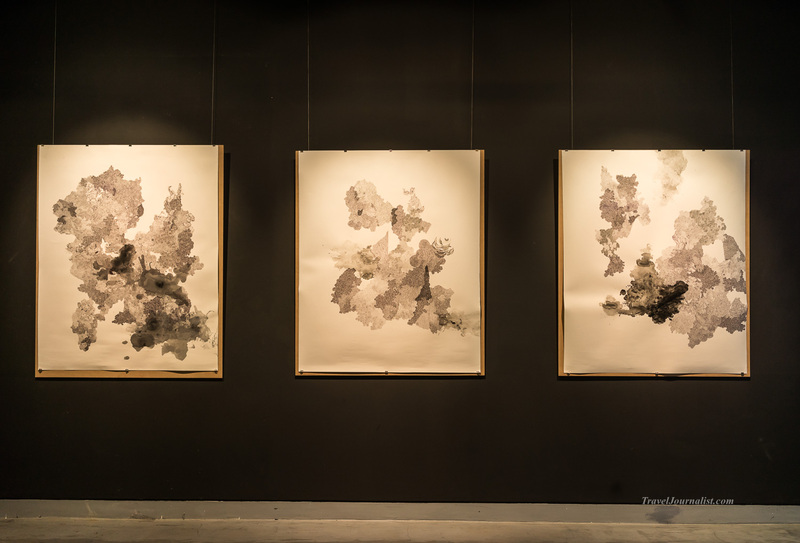 The whole series is from his own and others’ life experiences, pulling from his perception of dealing with growth, success and failure, seeking for the value of life. All the pieces express not only the full range of his cheeky and intellectually subtle language of sculpture but also show his wonderful outlook on creating in life. He does not like being restrained and contrived, instead loving to be flexible and open, qualities which have become the direction for his creativity. In this series, he successfully brings together the subject matter with developmental thinking. 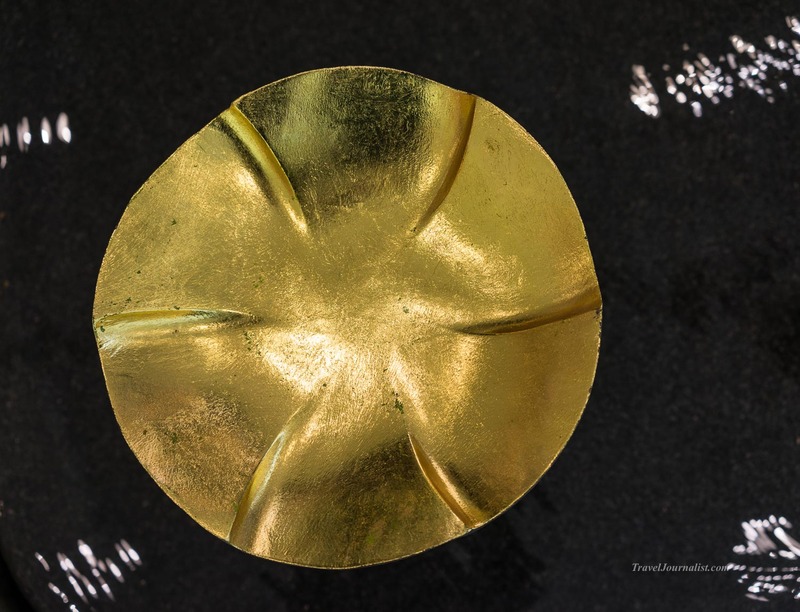 How the aesthetic appearance of the sculptures reflects the meaning of the project ? 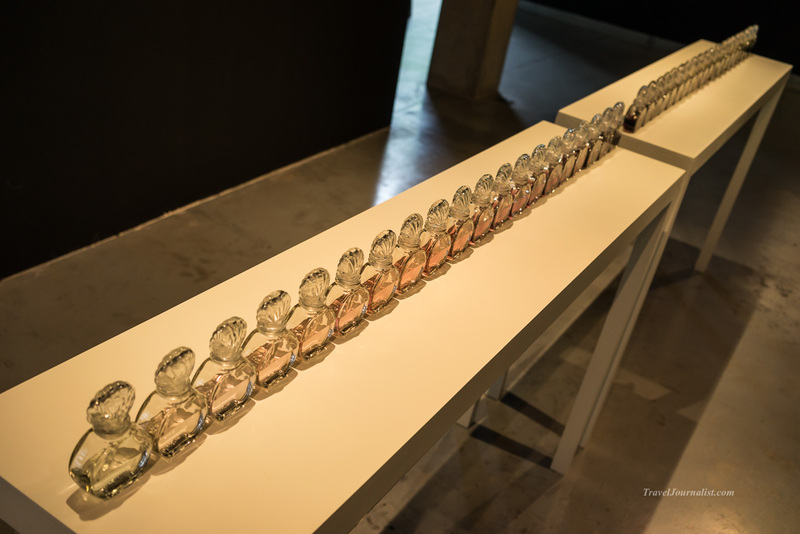 Throughout his series, Kma Sirisamphan has shone a spotlight on the curvature of the sculptures. The form of the muscles exhibits an emotional force. The attention to detail establishes a middle ground where abstract meets realism. The focus is on the lines of the muscles, the colors used are natural. Staying true to his concept, the significance is staying strong and continuing to move through life as one tries to strike the balance between ups and downs. 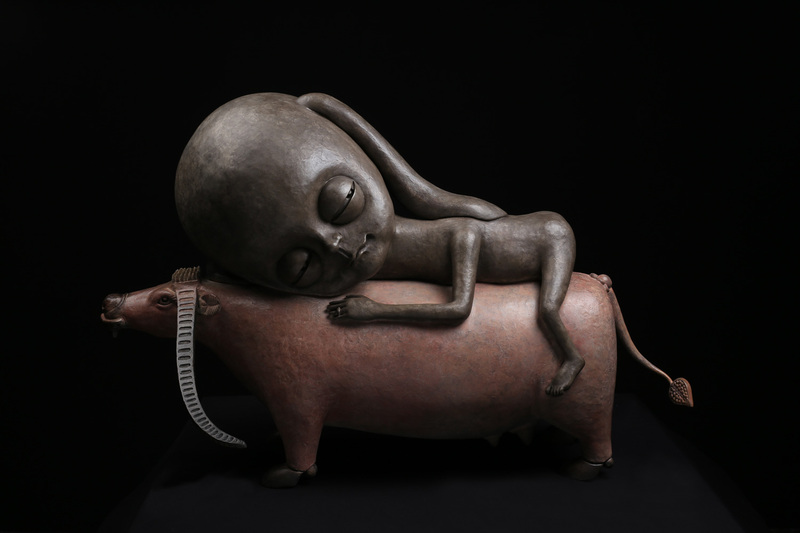 His sculptures urge us to keep going through the hurdles of life while building a mindful position on the meaning of it all. Can you tell us about your work as a curator ? You need first to make some research about your concept and then find the artist who matches with the concept of the exhibition . You have to understand his personality, the process of his work and make sure the artist understands what you want to express for this event. Then you find the sponsors, you do some public relations and organize the opening by inviting clients and VIPs who correspond to the artist. Sometimes we have to prepare an exhibition 1 year before, when it’s a solo exhibition and the artist has no new serie. So we have to talk with the artist and work with him, the whole process can last one year. After organising an exhibition, do you follow the artist ? Yes, we follow them to see their new artwork. We stay in touch in case a customer contact us to buy. We check the new series they produce if we want to continue to work with them. You find the artist or the concept first ? It depends : if it’s a solo exhibition, the artist will give you the idea of what concept he wants to express. If it’s a group exhibition, the curator has to make the artists work together. How do you select the art pieces among the body of work of the artist ? We talk for a long time with the artist , we learn to know each other , he talks to me about the series that he did before, and the ones he’s working on. After discussing for a few months, we have to both understand what we need from each other . 50% Thais and foreigners . On week-ends we have more foreigners . Thai people sometimes know the artist and follow him. In general, younger people are coming nowadays. What advice would you give to the public when they plan to visit an exhibition ? My advice would be to search informations about the artist before visiting, on Google or our Facebook page, or on the news. This will give them a deeper experience and understanding of the meaning of the art piece. What is the most important in art , the visual aspect or the message behind the project ? In my opinion, the concept is more important. With some art work, the more you see it , the more you feel it, and you have more content coming out . If you have a really strong content, it makes people think more, it’s not only a one time experience . If you see an art piece and you say “wow it’s beautiful” but you forget it just after, it’s not interesting, it’s not real art. The concept is the more important in the art work . 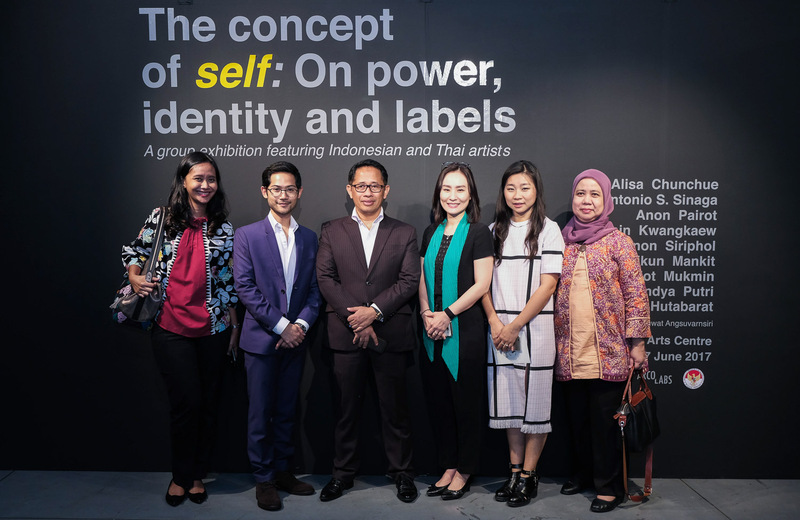 Concerning the previous exhibition “The Concept of Self” , how did you have the idea of uniting Thai and Indonesian artists together ? What is the message ? 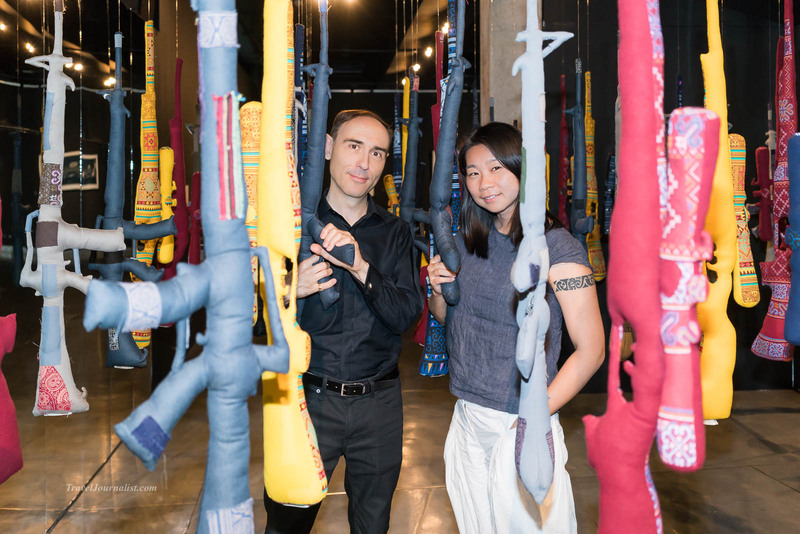 We started working on it 5 months before the exhibition, with my curator colleague Jongsuwat Angsuvarnsiri. On the Indonesian side, we worked with Jeong-ok Jeon, a Korean woman who has been living in Indonesia for 6 years. She has the experience of the country and she has worked with many artists there. We tried to get established artists and we made a lot of research. The co-curator came to our gallery to see the space, we went to Indonesia to meet the artists. We both received the candidates in order to find Thai artists who would match the Indonesian artists. The whole concept had to involve 9 artists, it was very difficult to conclude and compute all the informations together. The concept of this project is a dialogue between macrosociology (societal influences on the individual) and microsociology (study of elementary social links). 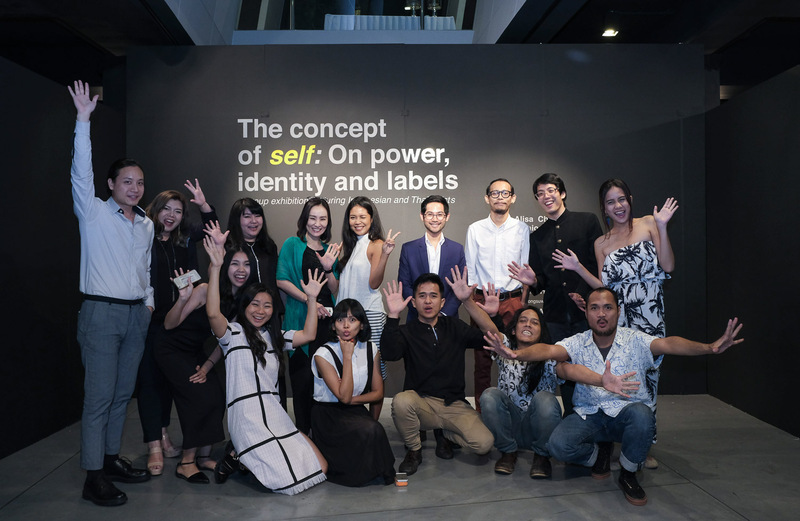 Artists express their vision of the evolutions of society and culture in Southeast Asia. They try to understand how the individual and society interact in the context of these changes. In the past you already curated an exhibition with different artists ? 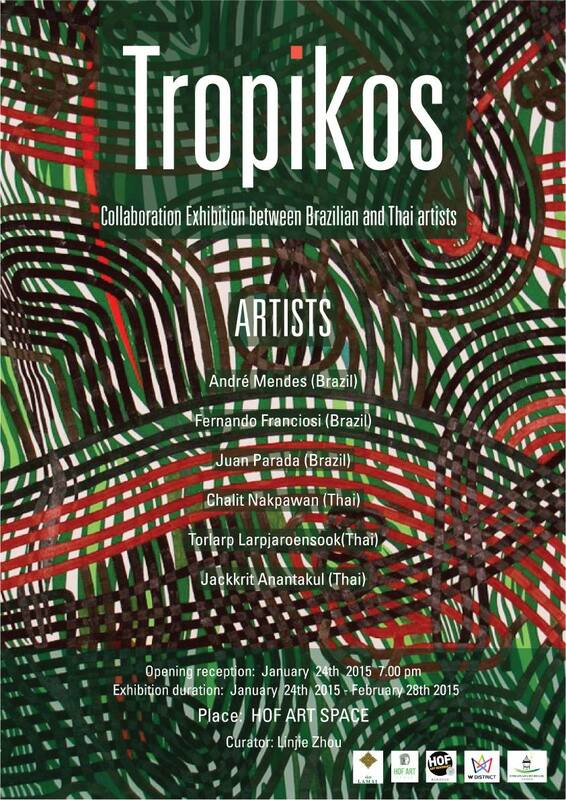 Yes , Tropikos was the name of this exhibition. 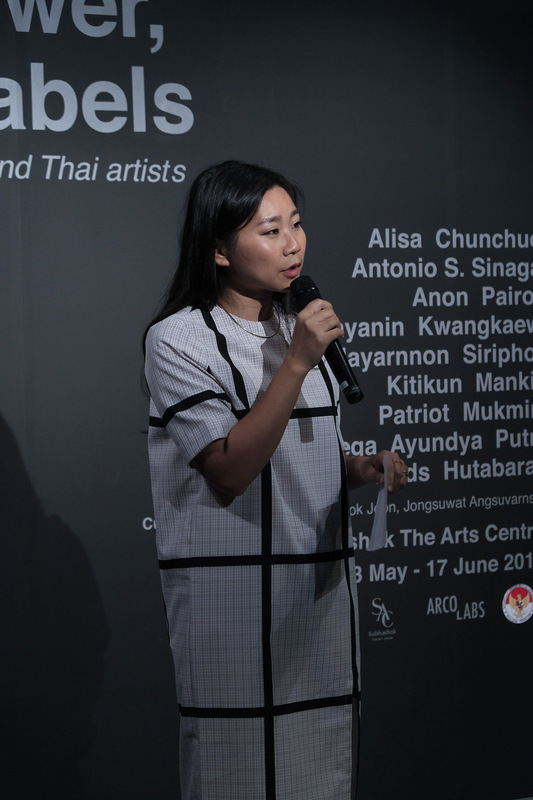 I was resident curator at HOF Art Gallery in Phra Khanong. My husband was born in Brazil and he knows many Brazilian personalities. His friend recommended me three Brazilian artists. I checked their resume, they were quite good. I thought it would be interesting to make a joint exhibition with Thai artists. They wanted to come to Bangkok and they had a Brazilian foundation to support them. That’s a relief for the gallery when a project is partly founded by another organisation. I’ve contacted the Brazilian embassy in Bangkok to be a sponsor as well. Everything went smoothly. They came and met the thai artists. The concept was to show the art coming from two countries which were in the past influenced by European countries and which now have developed their own ideas, their own art. Despite the distance between Thailand and Brazil, there are many similarities. 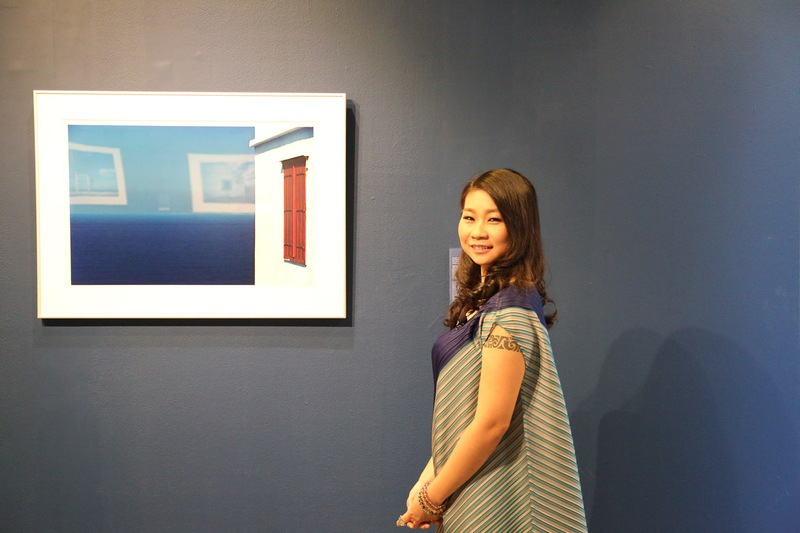 When visiting the exhibition, it was not easy to identify which country the piece came from. I thought that doing a cross cultural exhibition, an exchange culture project, could make sense in this context. I am myself from different cultural backgrounds so this project was personal. I was legitimate and I could persuade people to realise it. 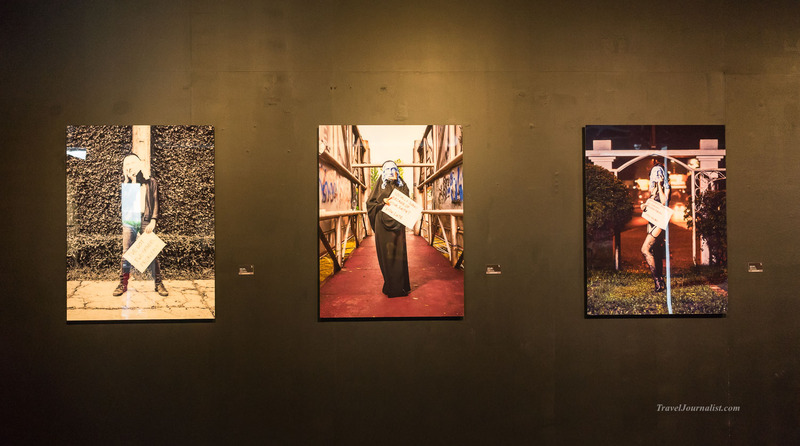 There are a lot of galleries now in Bangkok ; is it too much or to enough ? It’s good to have more and more galleries because it changes the people impression as well. In the past, some people didn’t dare to visit because they were not sure to understand art. Now there are so many different types of galleries ; basic, contemporary art, historic art, modern art. The public get more educated about the different types of art. The public comes mainly for the opening, is it a challenge to encourage people to visit a gallery ? For the exhibition “The Concept of Self” the artists stayed in the gallery during the week-end so the visitors could meet them, talk to them and understand their work. Our new curator organises talks as well. For example the last talk was about young artists who had exhibitions abroad. They presented their experience and ideas. We try to create events to persuade people to come other days than the opening. How do you define the success of an exhibition ? the number of visitors, the sells, or the media coverage ? A combination of all that. During the opening, many people come to share with the artist. We have a preview before the exhibition for the media so they can inform the public. Then we have the feedback in the press. In the end, the most important for the artist are the sales. Usually the buyers are Thai or foreigners ? We have stable Thai buyers . Concerning the foreigners, they buy mostly paintings. Do they buy for investment or decoration ? There are many types of clients. It depends on the price. 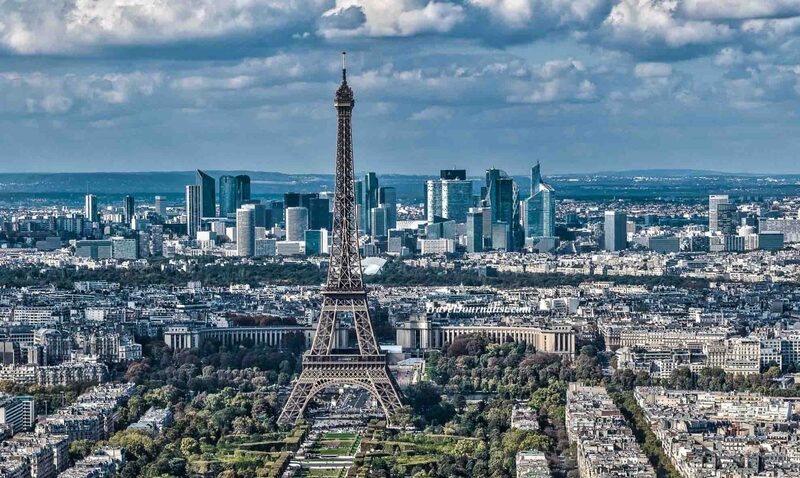 Many french customers buy the art because they like it. They like the colours, or the design. Some clients want to do investment, they search for the background of the artist, how much potential, how far this artist will go, what the background story, the auctions, records, how many countries he has been, how many awards he achieved. They do many backgrounds checks. Is art a good investment ? Yes. Personality I have a small collection, so I believe in art. Prices for good artists will always go up. Especially if they had auctions which reached a good value. 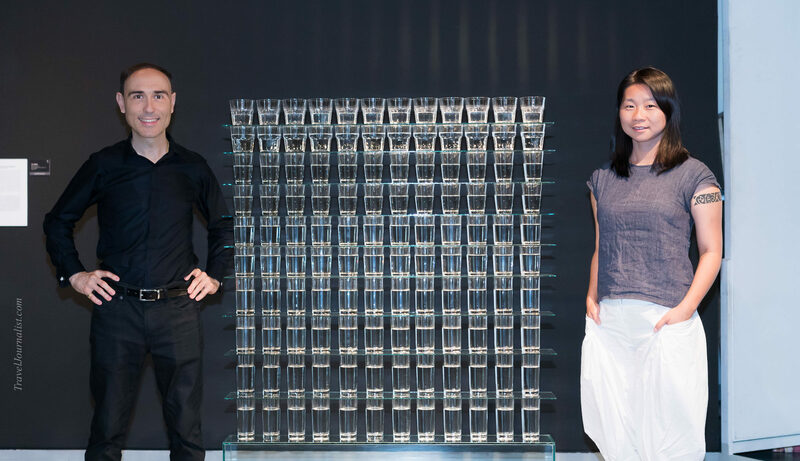 Sotheby’s focus in young artists now. Some of the artists who were featured in our gallery had some art pieces in Sotheby’s. When they sell overseas in art fairs, many clients focus on that record. Which other galleries are you working for ? Before I was working for HOF and Subhashok, but now, I’ve been working full time with Subhashok for 2 years. How did you come to Bangkok ? I have a degree from the University of Science and Technology in Huazhong, China. I arrived 10 years ago in Thailand from Wuhan. I was a volunteer to teach chinese. I did that for 3 years in Isaan. I wanted to stay in Thailand because I had a feeling of freedom here. Then I had a Master’s Degree in Cultural Management at Chulalongkorn University. That how I shifted my direction to the art field. 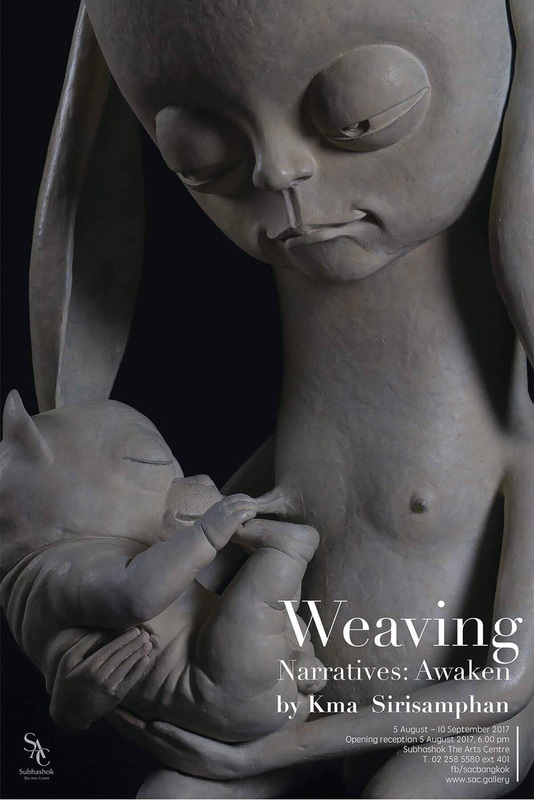 The reception of exhibition “Weaving Narratives: Awaken” will be held in Subhashok the Arts Centre on August 5th 2017, exhibition duration is from August 5th 2017 to September 10th 2017.